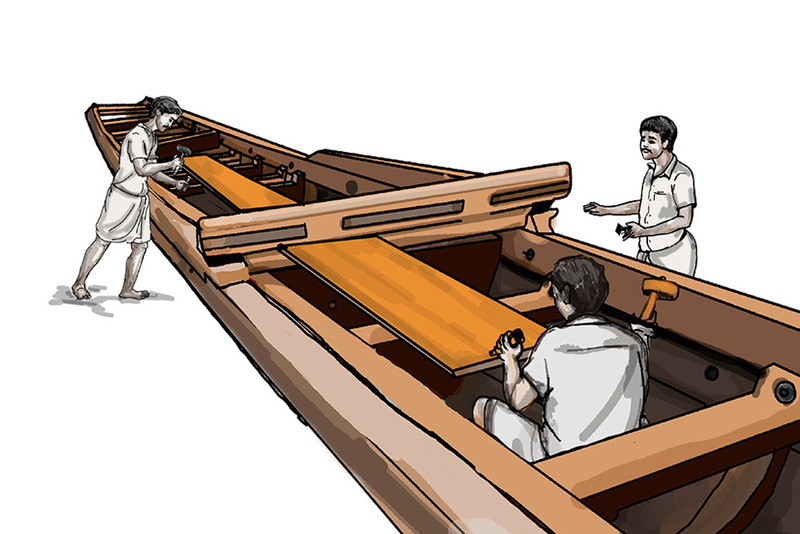 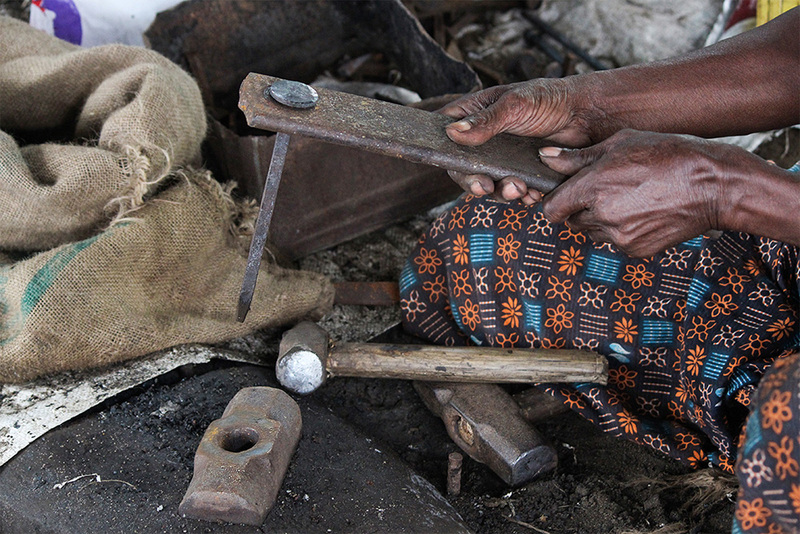 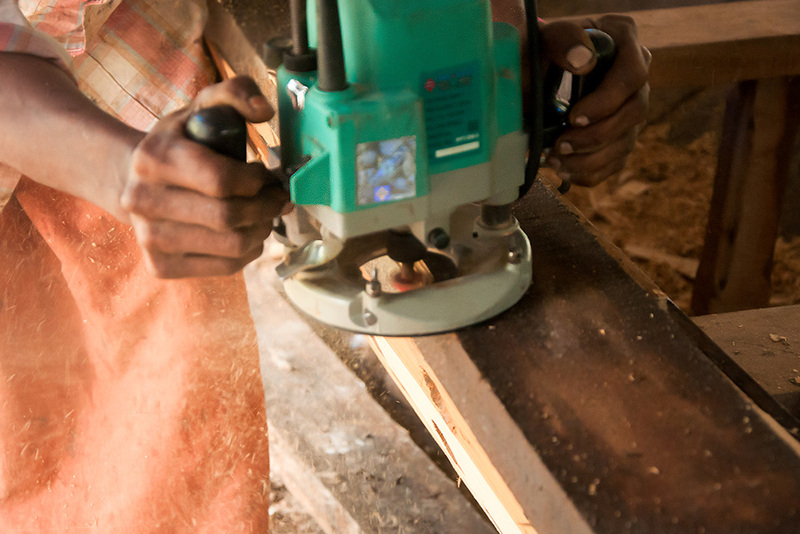 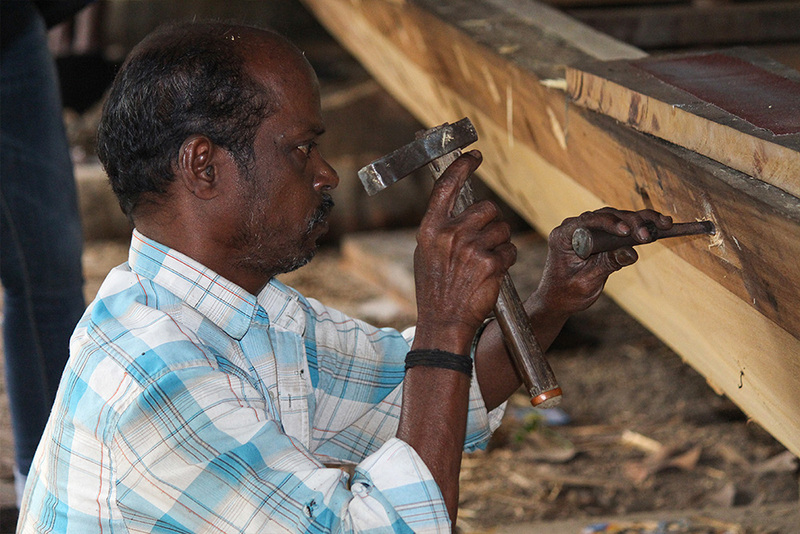 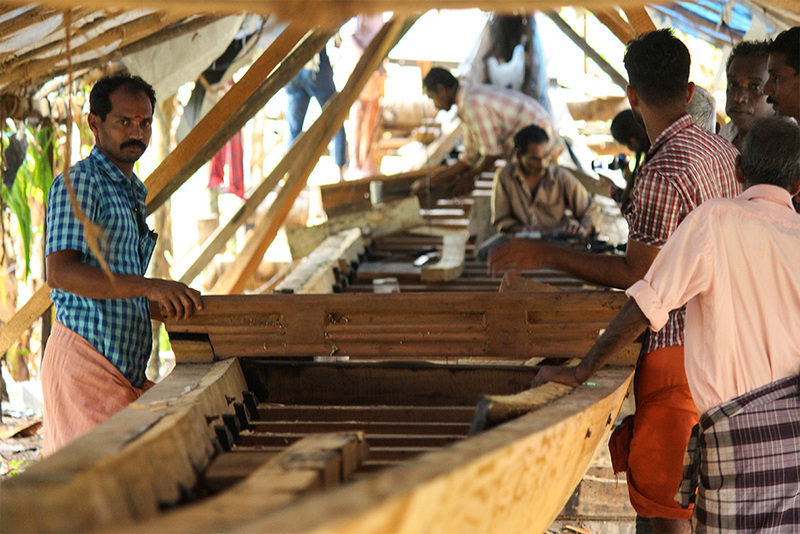 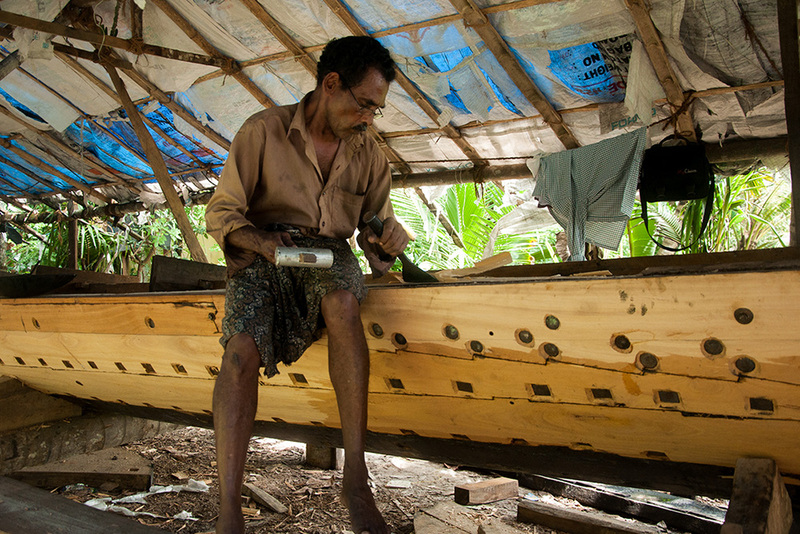 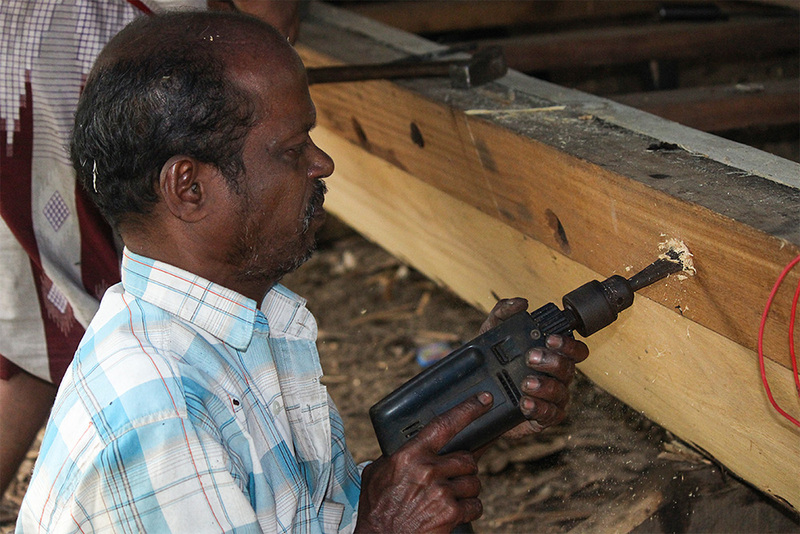 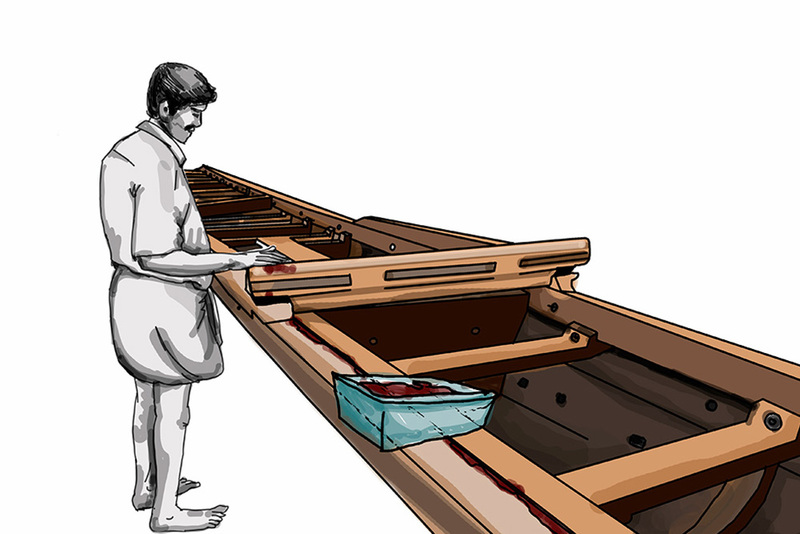 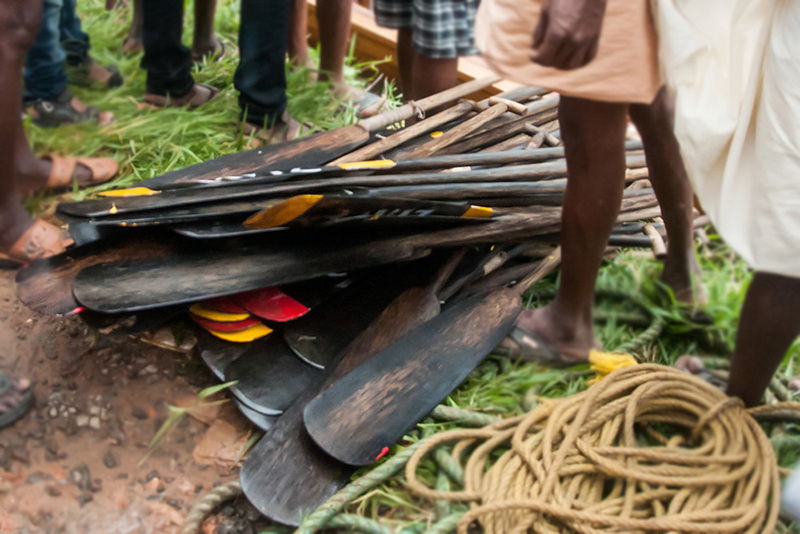 Initially the firm support for the boat is constructed using the wood. 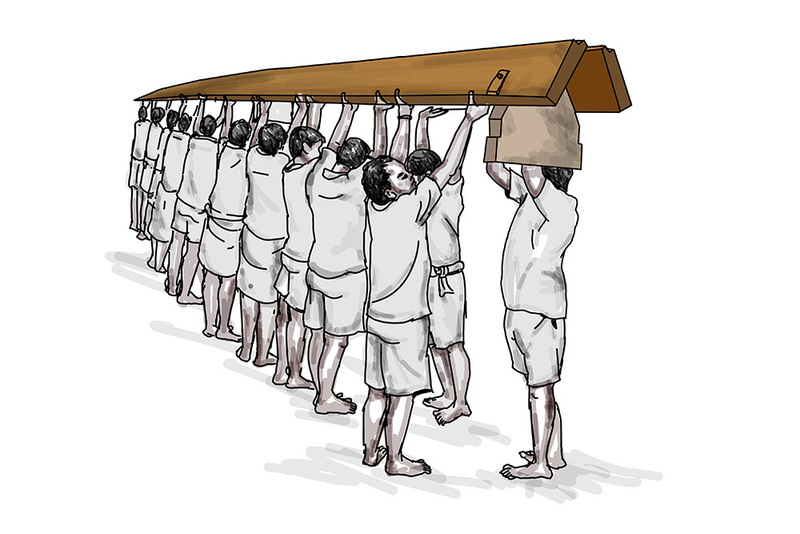 This strong back is made according to the size of the boat. 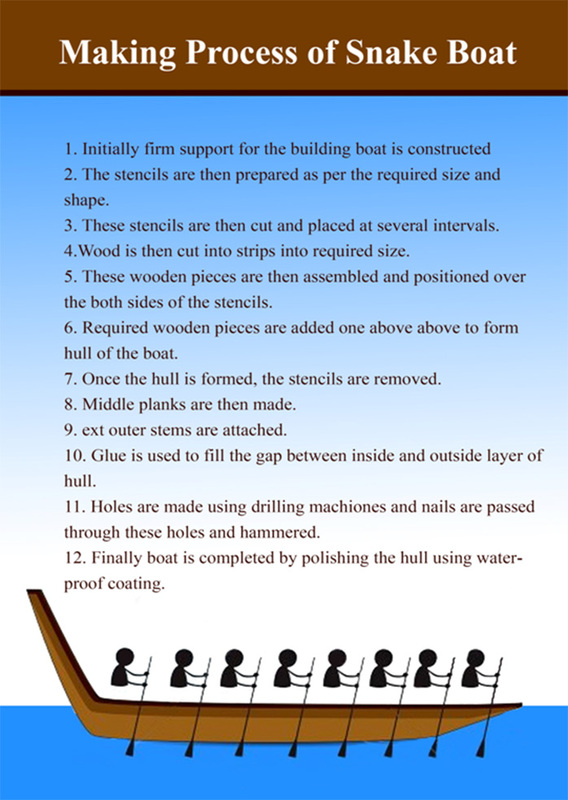 Then the blueprints/ stencils are prepared as per the required size and shape. 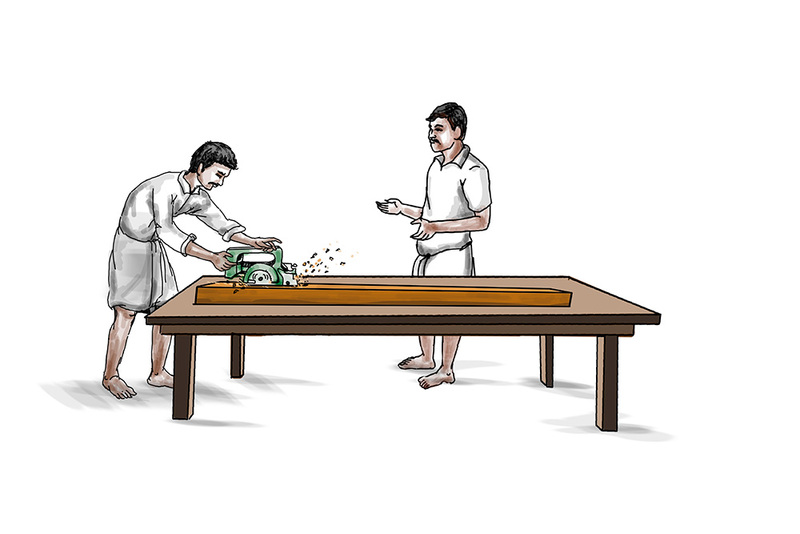 These blueprints are placed at several intervals over the strong back and the wooden strips are cut into required sizes. 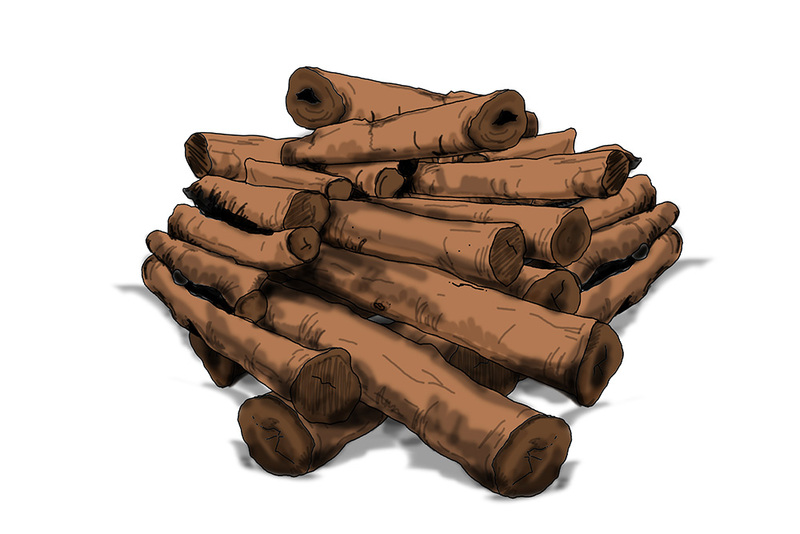 These wooden pieces are then assembled and positioned over the both sides of the blueprints. 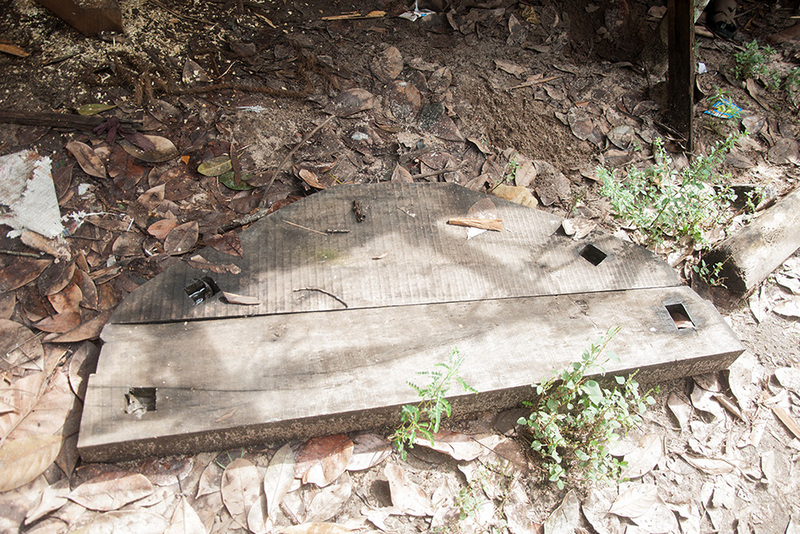 These wooden pieces are placed in between each station. 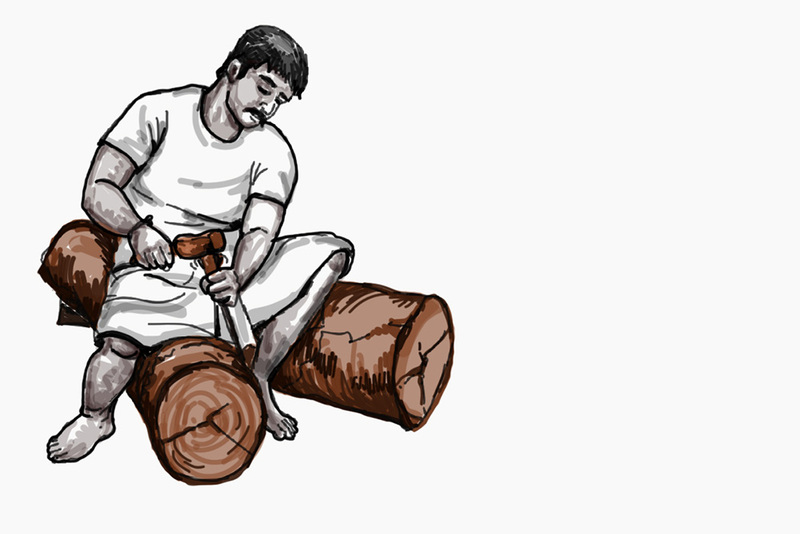 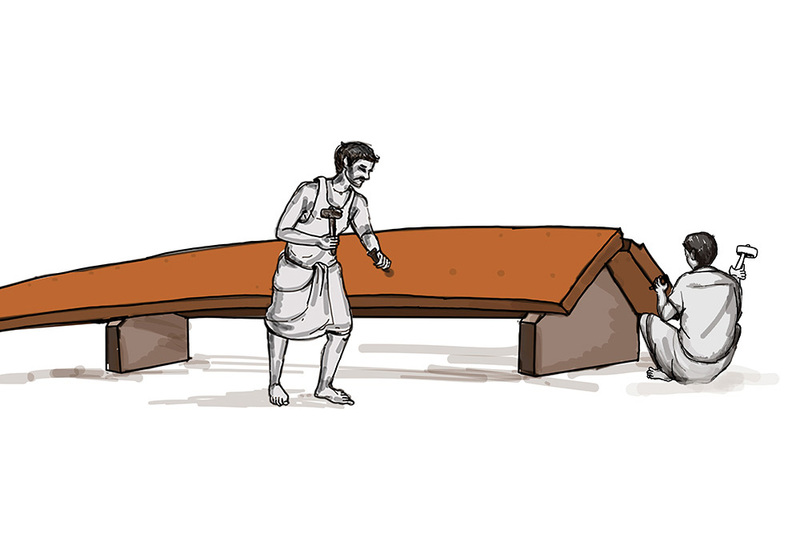 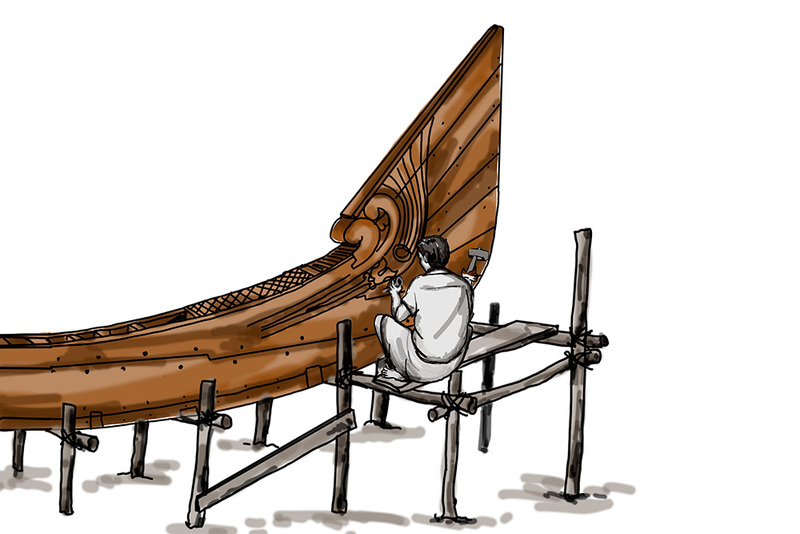 Required pieces of strips are then added one above one to form a canoe. 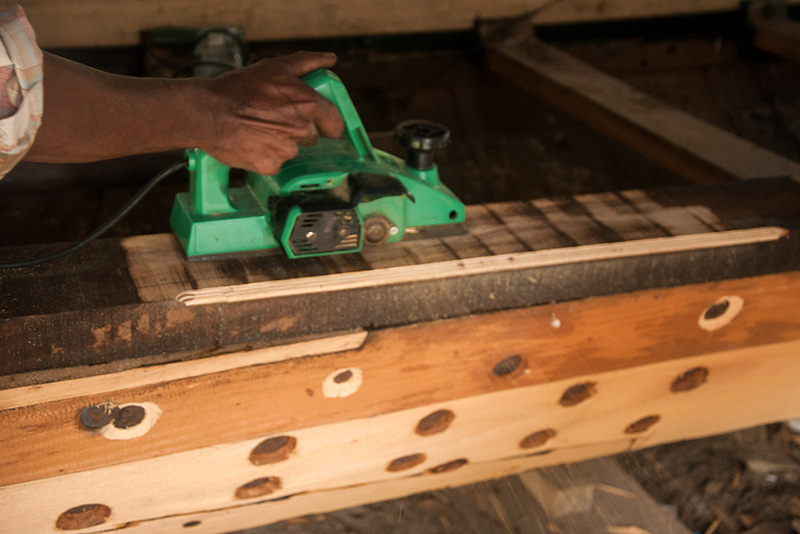 Wooden piece is then added strip by strip and it is nailed. 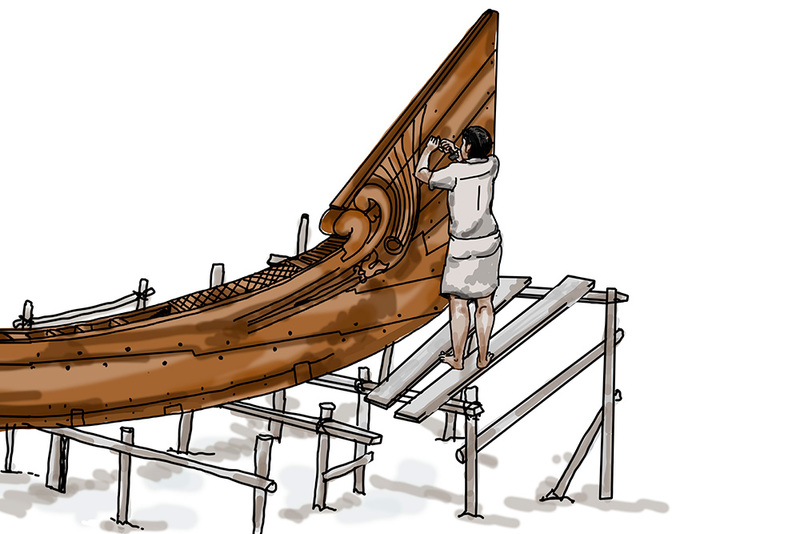 Once the sides and base of the boat is completed, the stencils/wooden blueprints are removed. 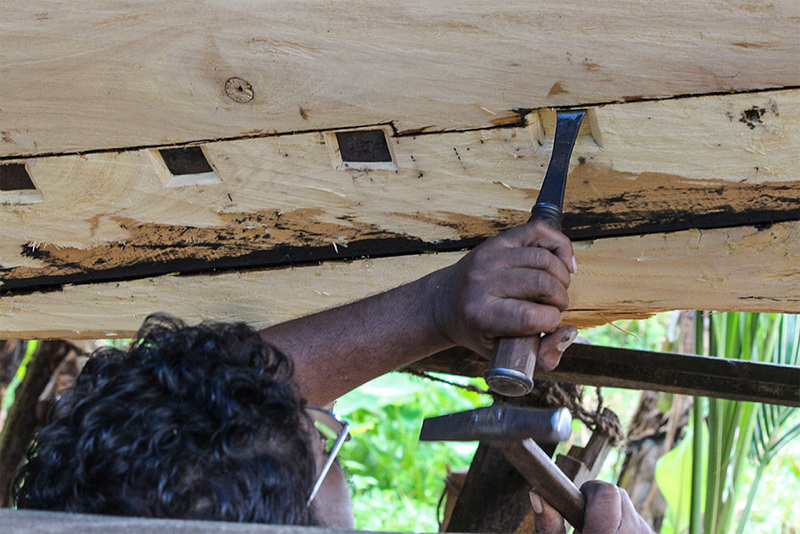 Now the hull is all stripped and the staples have been pulled. 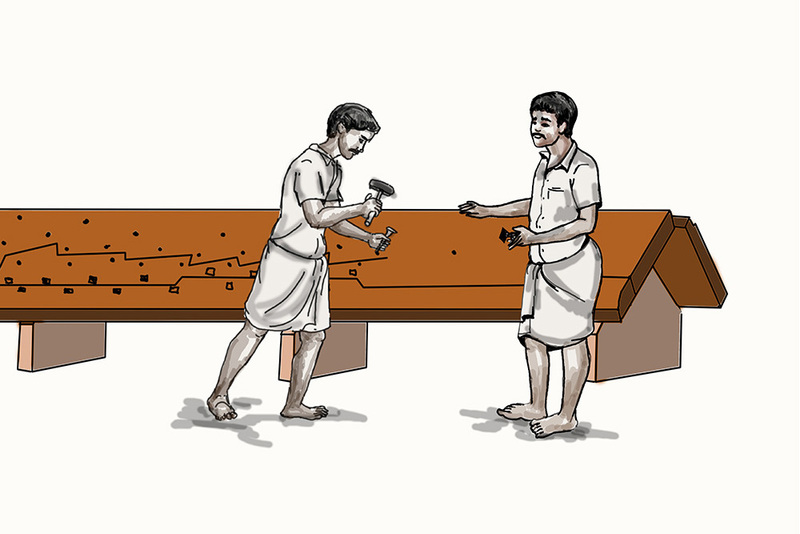 Once the making of the hull is completed, the middle planks are then made. 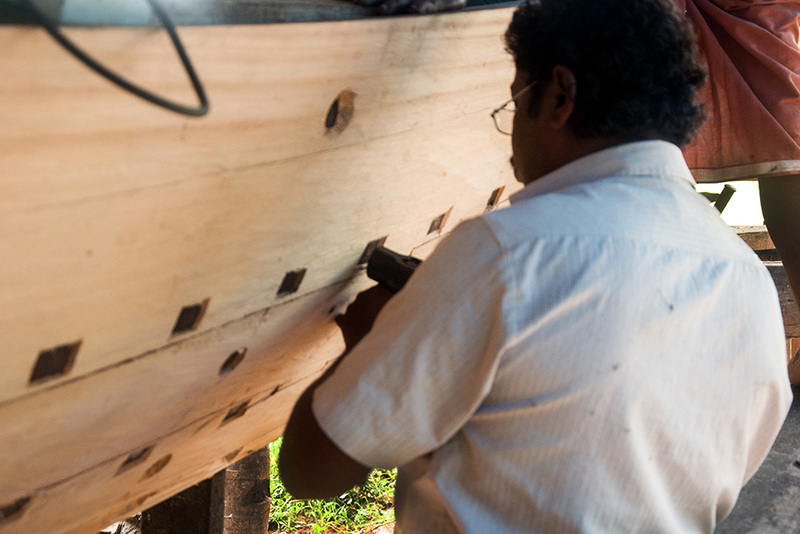 Next the outer stems are attached and it is then hole is made by drilling through the hull. 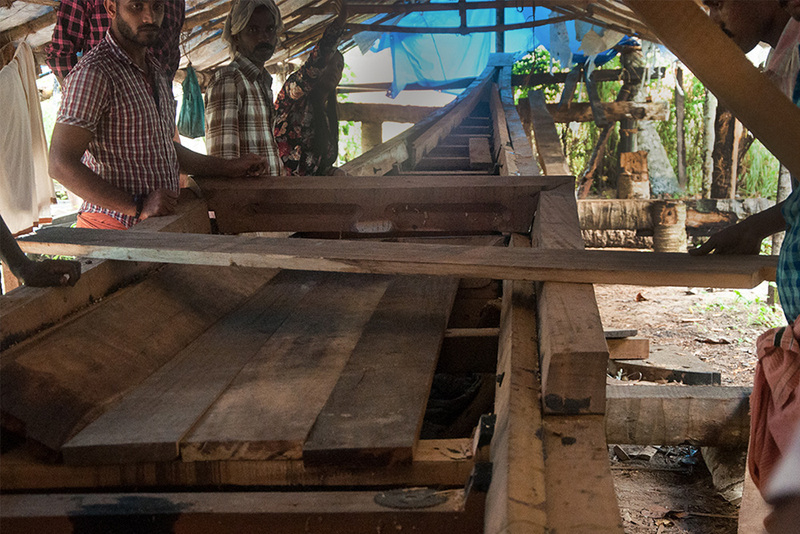 Then glue made by mixing cotton, coconut oil and resin is used to fill the gap between the two layers of hull (Outer and inside layer). 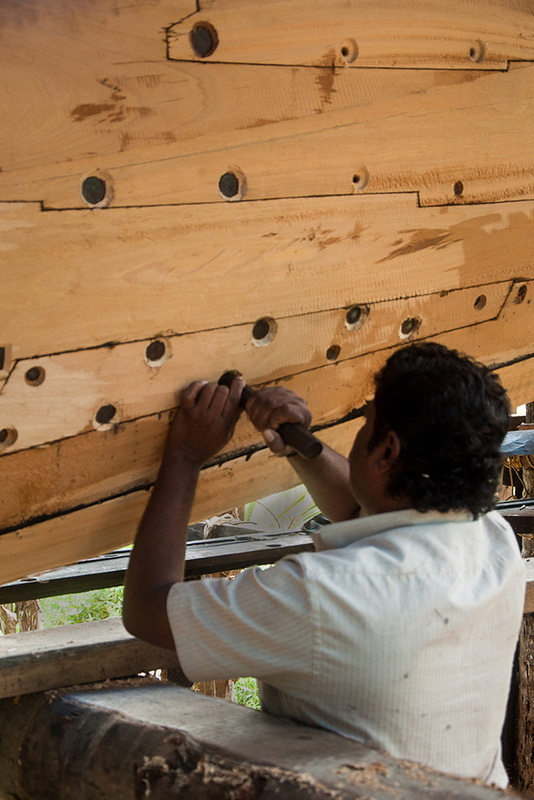 The hull is drilled to make holes at several points, these holes are made to create locks between the inner and outer layer of the hull and the nails along with the washer are then passed through these holes and hammered to bend the extension of the nails from inside. 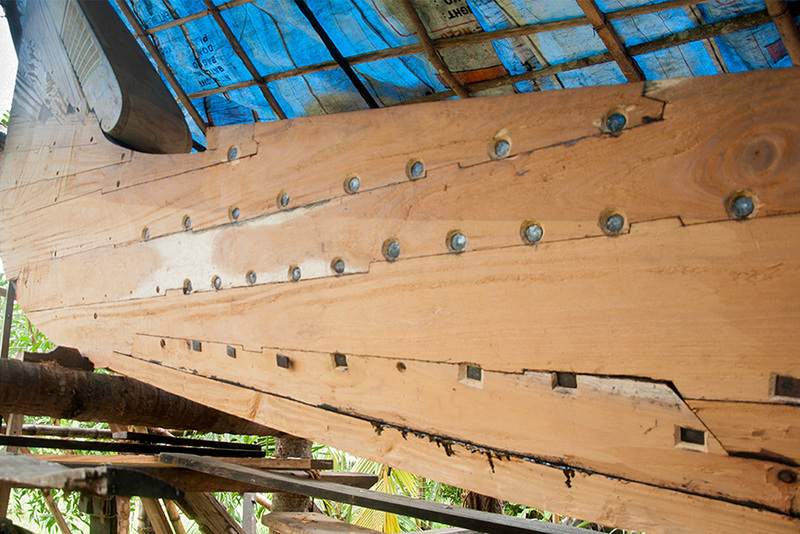 Once the making of snake boat is completed the waterproof coating on the surface of the boat. 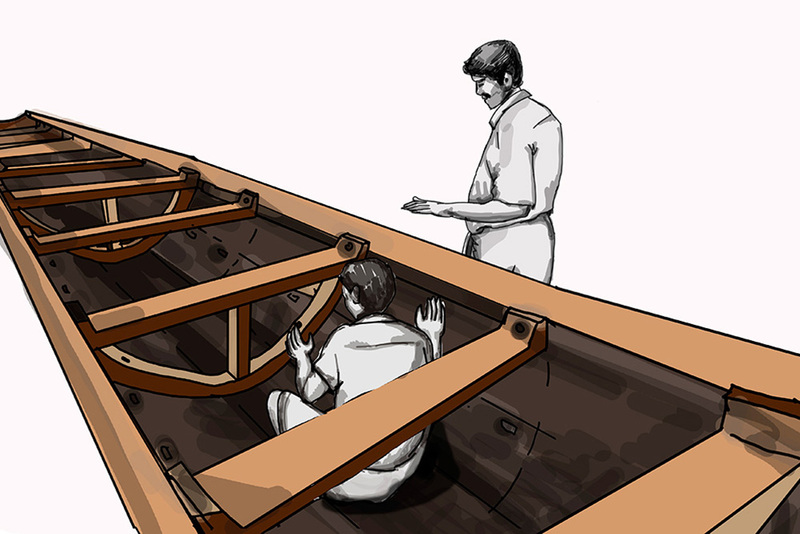 Once the hull is polished using waterproof coating and dried, it is dragged to the nearby canals, canals is an artificial waterway constructed to allow the passage of boats or ships inland or to convey water for irrigation and from there it is again taken to the place where the boat will be launched. 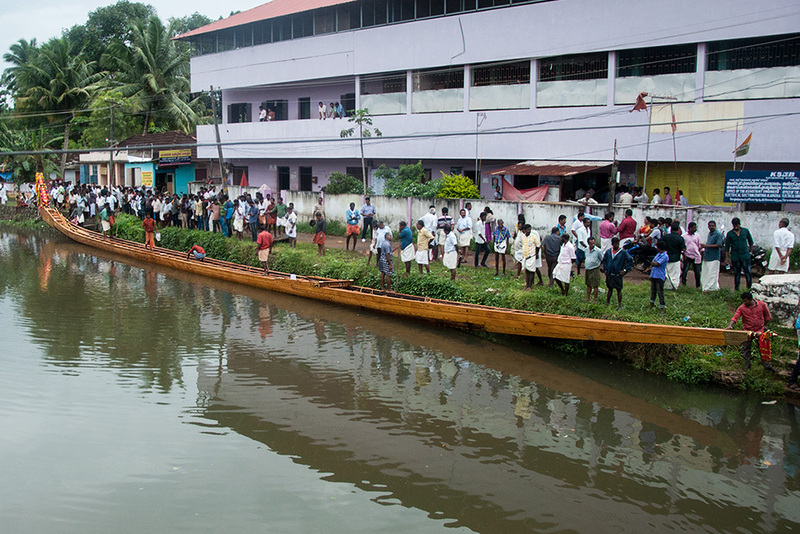 Week before the boat race, all the boats are washed and decorated with colorful trimmings.